Following ergonomic standards both in the design of the physical work environment and in office lighting is essential for creating a healthy office space, while LED technology and smart control systems ensure sustainability. Lighting is a fundamental provision for any workplace. At OMS we have developed a lighting solution for Modern offices that utilizes the latest LED technology, provides ultimate comfort for the eyes and aids general well-being by sufficient illumination on the horizontal and vertical surfaces in the room. We integrate daylight and the artificial lighting, thus providing pleasant and inspiring light throughout the day, every day. Presence detectors are ideal control for office spaces, corridors and staircases, leading up to 50% energy saving. Quality lighting positively influences the human psyche, the ability to concentrate, as well as regeneration. The correct illumination level of a space substantially affects the feeling of well-being, while it also enables to perceive visual information easily. Therefore the desk or task area plays the most important role when designing lighting for an office space. 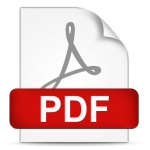 Following the European standard EN 12464-1, the value of minimally 500 lx is required for common administrative activities. On the other hand, outstanding light uniformity is required for fulfilling the standards, and minimising the occurrence of glare is also key for visual comfort. 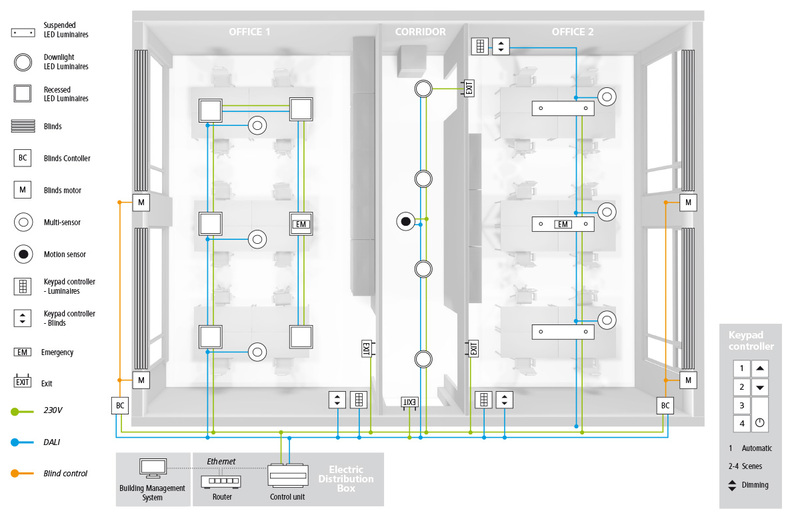 Modern solution for easy controlling and monitoring of the lighting system in offices. The LMS is controlled through a Graphical User Interface that is customised according to the specific office solution. This advanced platform is designed to manage and monitor the system. Its key modules make it possible to automatically collect, store and process data; schedule switching; generate reports about the system status and savings; and send notifications about failures and system errors. 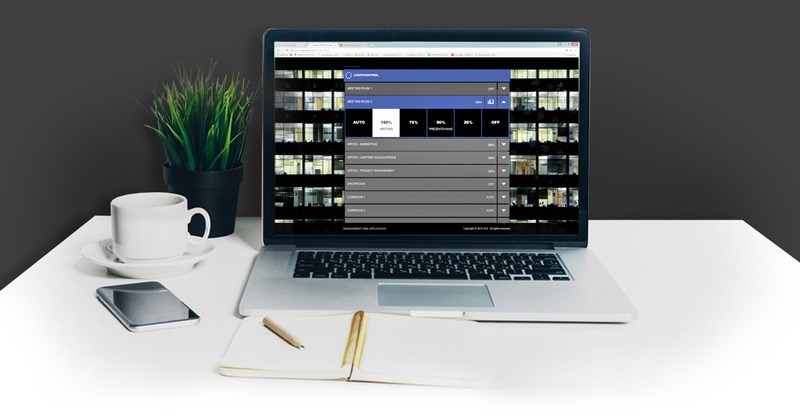 As a whole, lighting management system can be implemented into any building management system so that facility management can utilise a reliable, user-friendly tool. Based on the design, suspended or recessed LED luminaires are implemented in the solution as both provide great visual comfort for task areas.To maximize efficiency, multi-sensors are applied: the presence detector turns the system on automatically when someone enters the room and, to eliminate unnecessary lighting hours, switches it off automatically when there is no movement for a certain period of time. The light intensity sensor sets up the optimal light level, adjusting it in accordance with the available natural light. A fully automatic control system is implemented that ensures the 500 lux constant illumination level. The control unit manages a DALI-based plug-and-play control system. Keypad control enables turning the lights manually ON or OFF when needed. Governments worldwide are committed to decreasing CO2 emissions within the next few years. Next to supporting this goal, reducing the carbon footprint of offices helps businesses to comply with the new environmental regulations, cut costs and improve reputation as well. Another great advantage of Modern office solution by OMS is that it meets all criteria for indoor lighting for attaining Green Building Certifications like LEED (Leadership in Energy & Environmental Design) and BREEAM (Building Research Establishmentâ€™s Environmental Assessment Method). 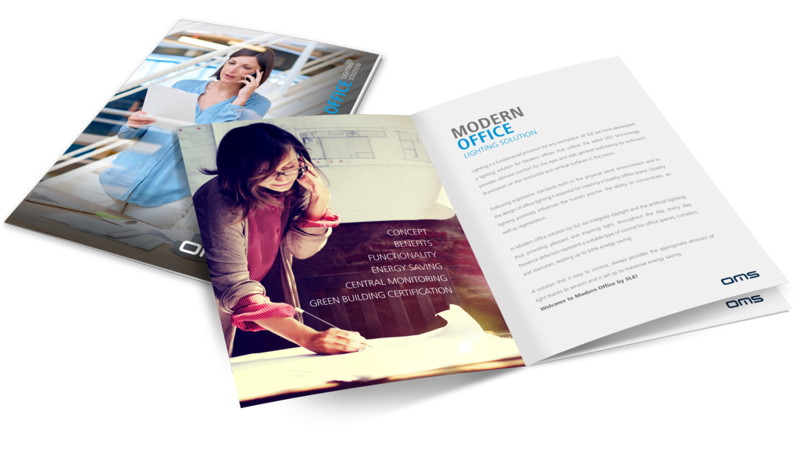 Download the solution brochure Modern Office to read about the concept, the dangers of poor office lighting, and the positive effects good quality office lighting has on people. See how the user-friendly smart control system works and how does it save costs of energy and maintenance, plus the environmental benefits of using LED technology in office lighting.